to serve the country with right intent and honesty. I hope through this I can make some meaningful difference to the lives of my people. Former Cricketer Gautam Gambhir meets Bharatiya Janata Party President Amit Shah. He joined the party in the presence of Union Ministers Arun Jaitley and Ravi Shankar Prasad today. Will Gautam talk to Imran to defuse Indo-Pak volatile relation, another lurking question with Navjot S Sidhu failing in an effort but making kartarpur a reality. BJP briefing as Gautam Gambhir is inducted into the party by Arun Jaitley and Ravi Shankar Prasad. 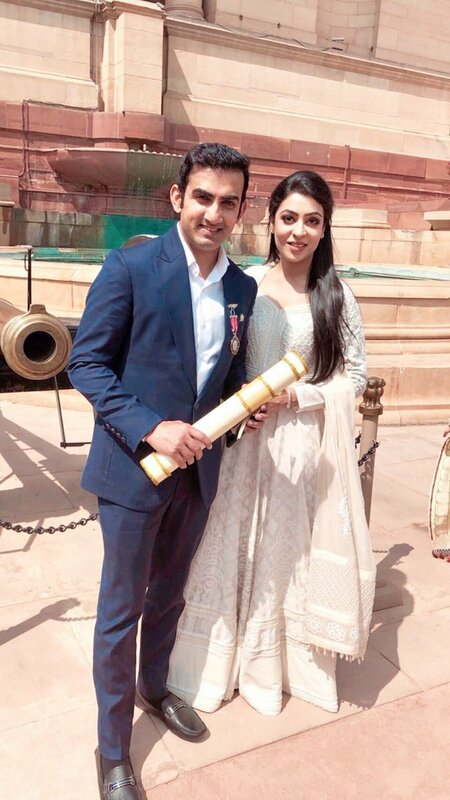 Gautam Gambhir soft spoken and an intelligent to core with business acumen the opening inning cricketers understand each subject to its core has entered politics shall be an asset for BJP and may contest Parliamentary seat from Delhi.